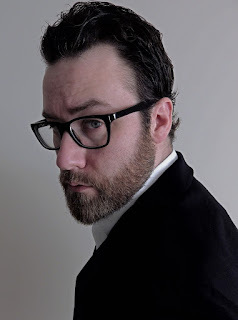 Craig A. Hart is a fellow Kindle Press author who describes himself as retiring, self-deprecating, driven, conflicted, and idealistic. His writing is raw, honest, uncomfortable, unflinching, and dark. So be prepared for honest answers, and without further ado, here are Craig’s other answers. For my last work, I found a small room in back of the local cigar shop. It had a battered poker table and a few chairs. It was always empty, so I commandeered it for a few weeks to finish the manuscript. It was perfect for that time because I was able to sample the wares while writing. It also afforded me a good deal of privacy, with some comforting background noise—conversation, the ringing of sales—as a buffer against complete silence. Great writing relies on character. That goes for short stories, novels, plays, whatever. If the character isn’t right, nothing else matters. But if the characters are right, most other things will fall into place. Even work that is more plot-driven relies on character, because great characterization moves plot along. And without compelling characters, no reader will care what happens to them anyway. My most productive time used to be late at night. I would work into the wee hours, happy and content. But then I became the stay-at-home father of twin boys. They are six months old as of this writing, and my late nights of writing have gone the way of penny candy. Now my most productive time depends on when I can get the babysitter or their hard-working mother to take them off my hands for a few hours. I try to read two books per month; in a good month I can read twice that. But there are months when I don’t finish one. I do, however, always have a book or two in process. I don’t read nearly enough for a writer. Reading is just as important as writing and it’s something I should work harder on. I do tend to read my genre while writing. It often inspires me. My most recent great book was probably Capote by Gerald Clarke. It was one of those biographies that read like a novel, while at the same time being highly informative. I try to investigate humans in a way that reveals who they really are, not how they would want us to see them. Honesty is my goal in writing, stripping it bare of ornamentation so that it stands naked before the reader. As a result, the themes and subjects are often grim. Most characters have dark sides and some are not likable at all. In fact, the main character in my new book is not a particularly nice person, but I like to think he is still compelling. I can’t not write. It is something that rides me, like a demon inside that prods until I do its bidding. I realize that may sound highly melodramatic, but it’s true. This is not to say that I always enjoy writing or want to write. I often do not. Other than that, I often find motivation in the work of others: Hemingway, Capote, Carver, O’Connor. These authors, and others like them, exhibit skill so far above my own that I find it both discouraging and motivating. But usually more of the latter. Although I know I could never be them, their art inspires—motivates—me to be a better writer. The book is somewhat based, at least Part Two, on my own experience. That’s where the story started. I worked on it for about eighteen months and then it stalled out. I set it aside and started on something else, which moved along for almost a year and stalled out. Then I began over…and while working on this third project, I realized I had been writing the same story over and over. Or, at least, writing about the same person. And as I looked at my work over the last three years, I discovered how closely related the three pieces were. After some plot work, I was able to weave them together into a single story. My protagonist is motivated by a desire to prove his worth as a writer to himself and his family, which he believes will release him from the ghosts of his repressive upbringing. This upbringing molded him in mostly negative ways, instilling a defensiveness and drive for recognition that will torture him throughout his life. 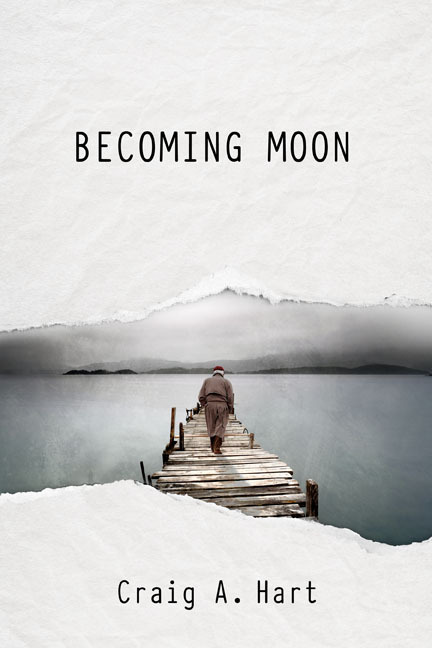 Becoming Moon is the story of a boy struggling to be himself amid pressure from a religious family. Following his dream to be a writer, he leaves all behind. His desire for success causes him to betray his principles as an artist, but brings money and recognition. Success is brief and soon he is in a web of depression and financial hardship. 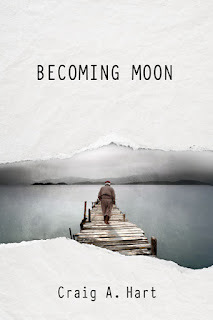 During a trip north, he meets Nigel Moon, a grizzled author who gives him a chance to prove himself—but only if the writer is able to set his past aside. Nice interview. I hope somewhere in the description of yourself, you forgot to insert fun or humorous or devil-make-care. Writers sometimes need to step away from the self-inflicted seriousness of it all.